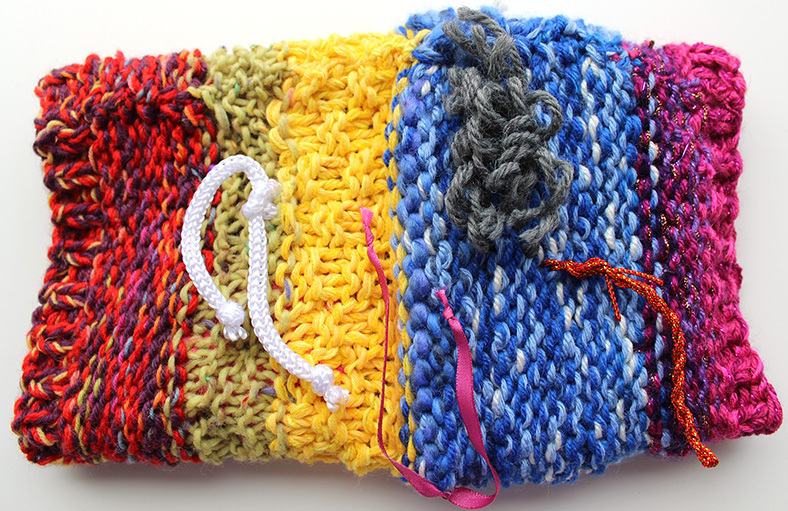 Do you do much charity knitting or crocheting? Off and on I make time for it. There are so many lovely projects you can join to bring joy and help to people in difficult life situations. My mother had dementia for the last number of years of her life. I wish I had heard of twiddle muffs before she passed. She used to fidget with her sheets with her hands a lot. Twiddle muffs have been created for this situation – to give people something to do with their hands. Recently I have made a few twiddle muffs that have been sent to local senior homes. 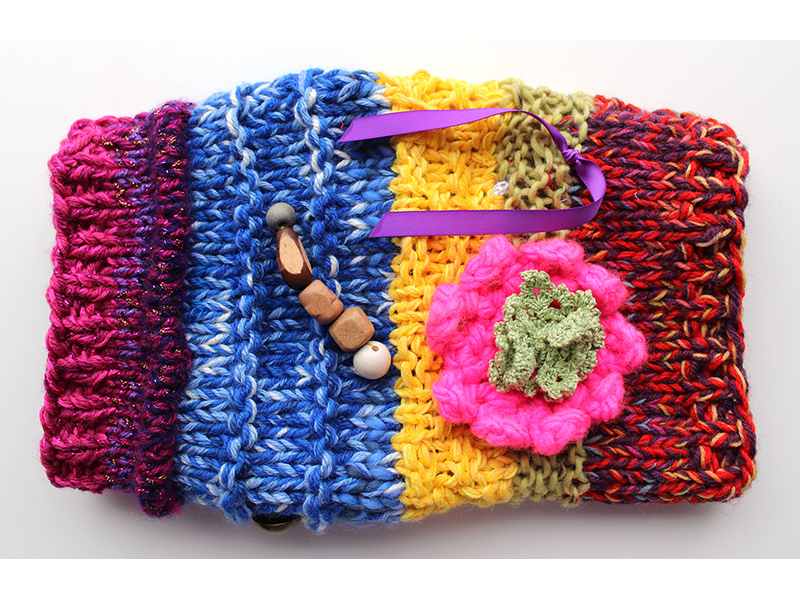 What I love most about making twiddle muffs is the freedom to use your imagination! You need to make them so that nothing comes off, even with a lot of pulling. But apart from that, you are free to be creative. So here I’m giving some pointers that you can use to start creating. They can be knitted or crocheted equally. Here I have knitted the base and added many crocheted items. Any items need to be very well attached. Nurses who work with people with dementia would tell you how easily they can pull off anything not properly attached. I use grizzly sewing thread double, knot it and pass the needle through the knotted part before starting to sew. Different types of yarn to achieve different textures: Rough, soft, shiny etc. 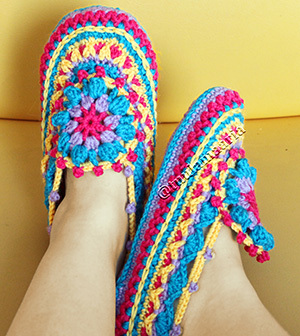 Use different kinds of knitted and crocheted stitches. 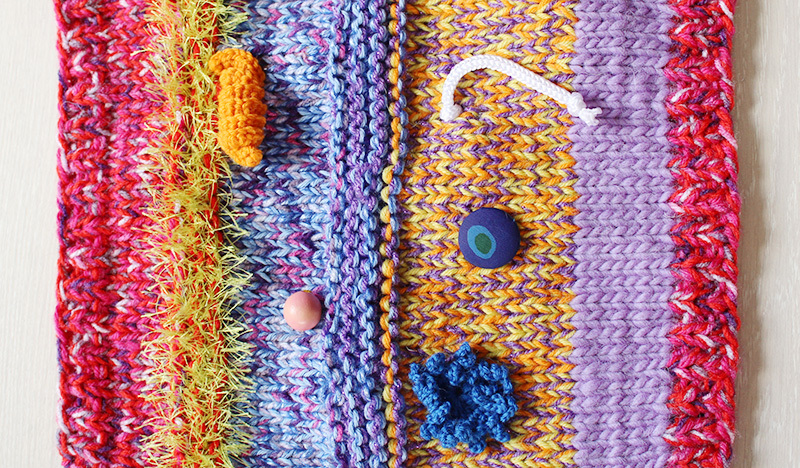 Knit, purl, rib, popcorns, moss stitch, knitting and crochet mixed. Yes, they can be so much help to elderly people.